When graphic designers speak of research, they normally refer to the process of scoping ideas for their work. In universities, research has become increasingly important in terms of the kudos of an institution and its academics, who are called upon to sharpen their research profiles, and solicit funding. Getting funded to explore graphic design in a non-commercial context sounds like a perfect brief. But when strict criteria apply with reference to ‘peer review’ and ‘impact’, it can be hard to place graphic design research. A diagram installation summarising Joanna Choukeir’s PhD research on communication design methods for social integration. 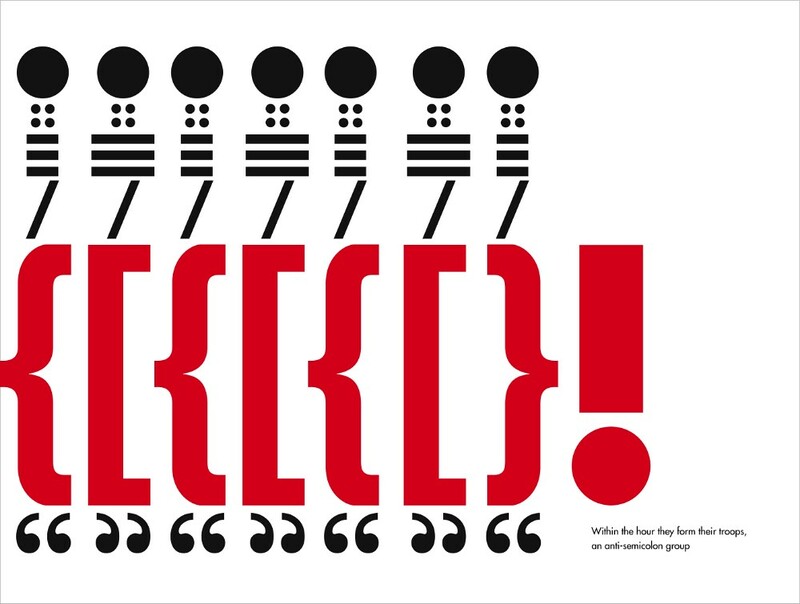 Top: Spread from In the Land of Punctuation by Christian Morgernstern and Rathna Ramanathan, Tara Books, 2014. While many established practitioners seek to define and expand the remit of graphic design – through self-initiated projects and through the art of re-thinking the client’s brief – design practice, design history and theory often seem to occupy separate worlds. Success in one may be measured through prestigious awards and invitations to show-and-tell conferences; success in the other may be marked by REF points accumulated by the publication of erudite papers in journals barely known to the professional designer. Of course, this caricatures both realms slightly and many individuals successfully combine research and practice, but nonetheless, an understanding of what is meant by ‘research in graphic design’ is rarely part of academic or professional debate. The Falmouth symposium aims to be a new venture into this territory, spanning theory, practice, history and the profession. There are still some tickets available, and it is free, so please join us in Cornwall for some fresh air and fresh ideas. Book design and typography for The Murty Classical Library of India, by Dr Rathna Ramanathan, 2015. Falmouth lecturers Nicola Salkeld and Ashley Rudolph’s research project ‘Moth’, 2015, in collaboration with Augsburg University. Rathna Ramanathan, head of communication design at the RCA, known for her expertise in intercultural communication design and typography, and Eye editor / co-owner John L. Walters will talk about design and publishing. 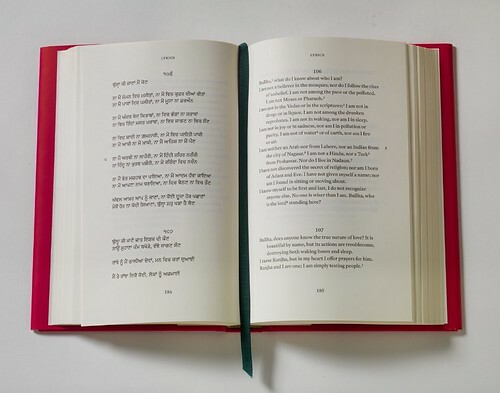 Alice Twemlow, a design critic, historian and founding chair of the Department of Design Research, Writing & Criticism at the SVA (School of Visual Arts) in New York, will deliver a talk on her own experience of graphic design research. 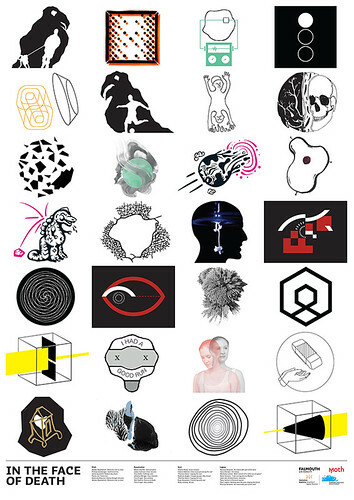 Falmouth University’s own senior lecturers Nicola Salkeld and Ashley Rudolph will present their teaching research project ‘Moth’, a collaboration with Augsburg University on graphic symbols of death. 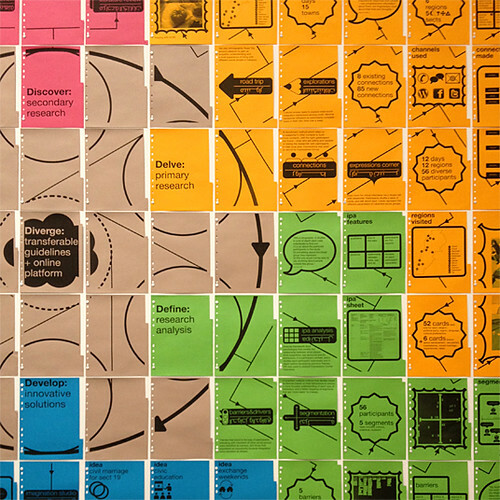 Social designer and academic, Joanna Choukeir will also present her experience of integrating teaching and research. 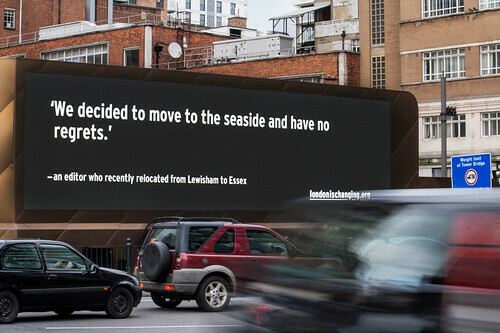 One of several digital billboards displaying Rebecca Ross’s ‘London is Changing’ project, 2015. Eminent design historians Jeremy Aynsley (Brighton) and Deborah Sugg Ryan (Falmouth) will discuss the peer review process. Designer Craig Oldham will tackle the topic of new audiences for graphic design, and academic and design practitioner Rebecca Ross (Central Saint Martins, UAL) will contribute ideas on audiences, discussing her recent project, ‘London is Changing’. Keeping the crowds under control will be Bryan Clark, designer and programme leader at Falmouth, Timothy Donaldson, letterworker and typographer, and myself, graphic design practitioner turned design historian. 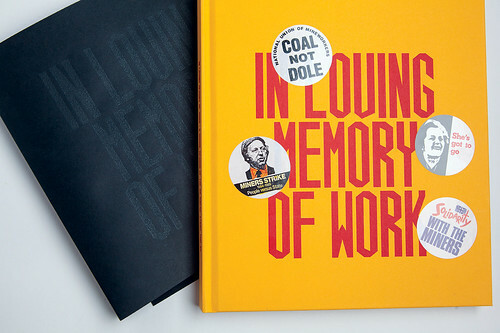 Cover and coal dust jacket for Craig Oldham’s In Loving Memory of Work, 2015. 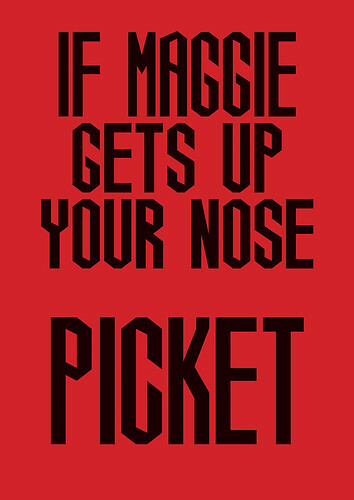 Craig Oldham, ‘If Maggie Gets Up Your Nose, Picket’ from In Loving Memory of Work, 2015. The Graphic Designers Research symposium will take place at Falmouth University on the Woodlane Campus, Fox 4 Lecture Theatre, Falmouth, TR11 4RH on 20 November 2015.